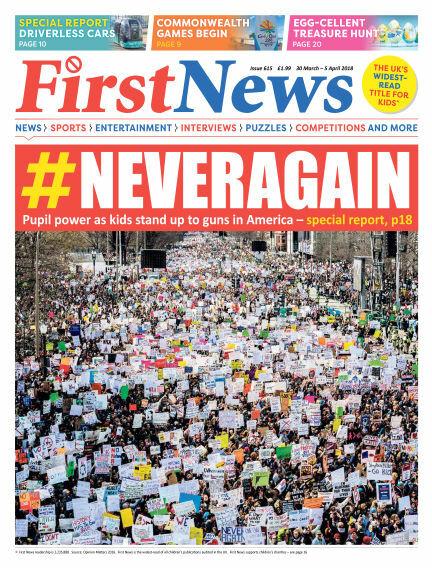 In this issue of First News : First News is the award-winning weekly newspaper for young people (aged 7-14). Produced in a traditional, full colour, tabloid newspaper format, First News opens children's minds to the issues of today, informing, entertaining and stimulating them to take an active interest in the world around them. Since its launch in 2006, First News has become the widest read children's weekly publication with over 1 million readers each week. Nowhere else can you find all the important stories in an easy and digestible format, in a voice aimed at inquisitive children – the very children who in turn will grow up to be the country's great communicators. With Readly you can read First News (issue 615) and thousands of other magazines on your tablet and smartphone. Get access to all with just one subscription. New releases and back issues – all included.